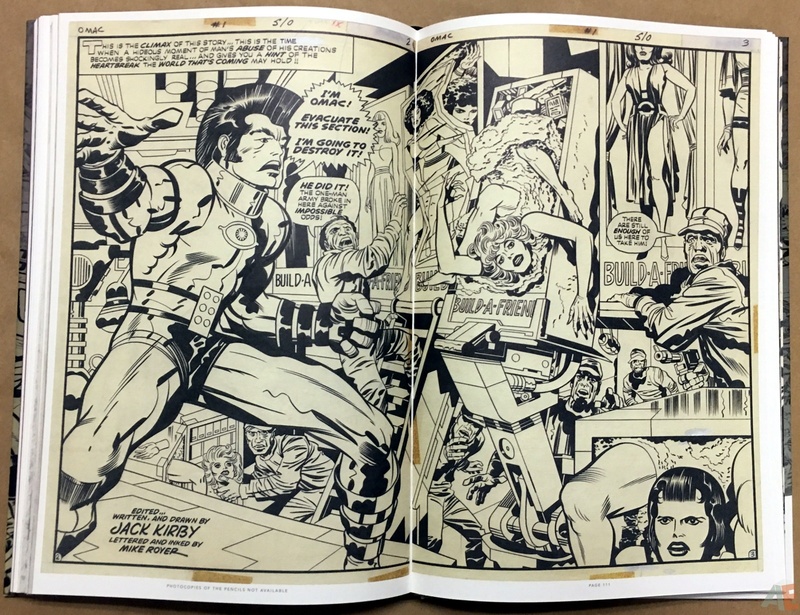 Jack Kirby has been called the King of Comics, and rightfully so. For more than 40 years he was the most vital and groundbreaking artist in the medium. 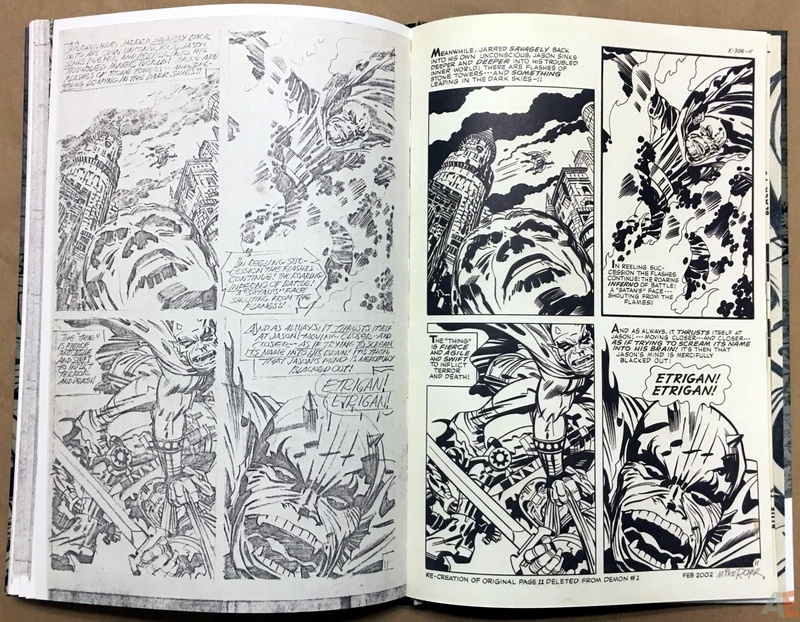 There have been dozens of books on Kirby over the years, including several oversized Artist’s Editions showcasing his original art. 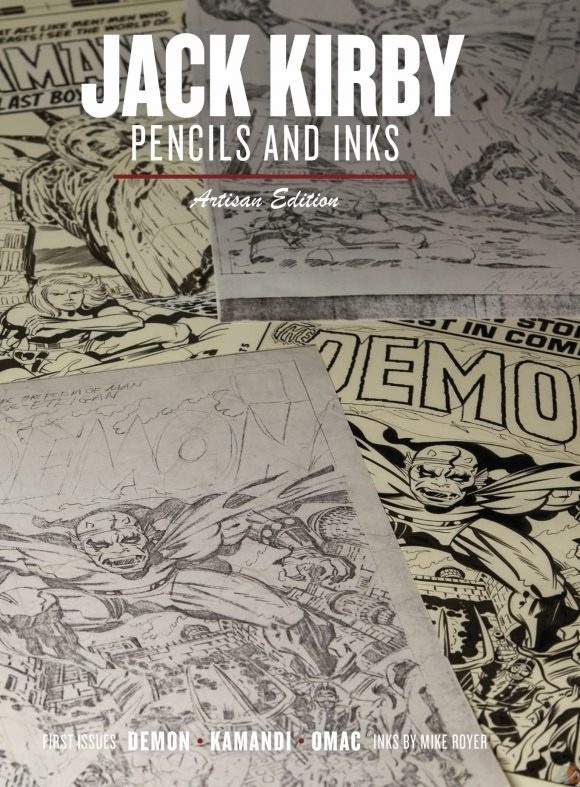 This book will present Kirby’s art in a new and unprecedented way, as side-by-side examples of his work, both in PENCIL and INK! 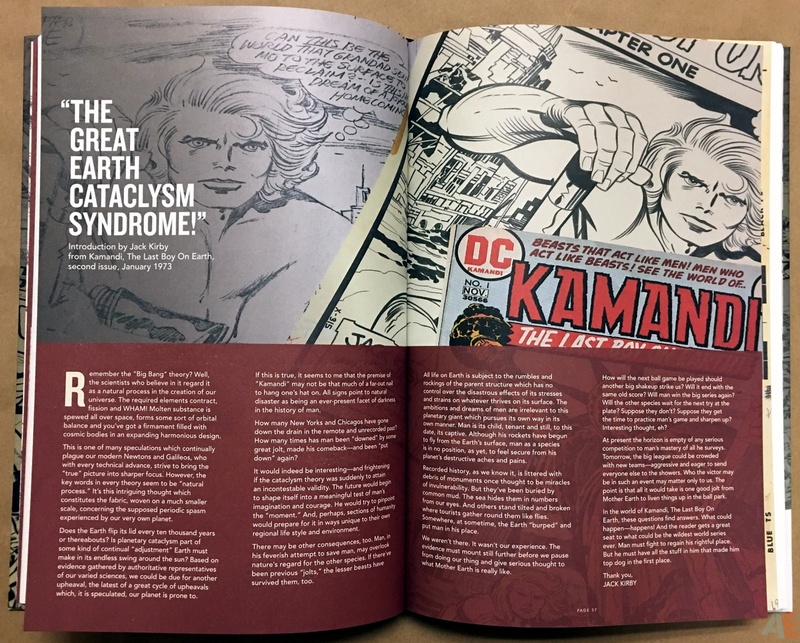 Three Key first issues are showcased: The Demon #1, Kamandi #1 and Omac #1, along with a number of additional pieces presented. 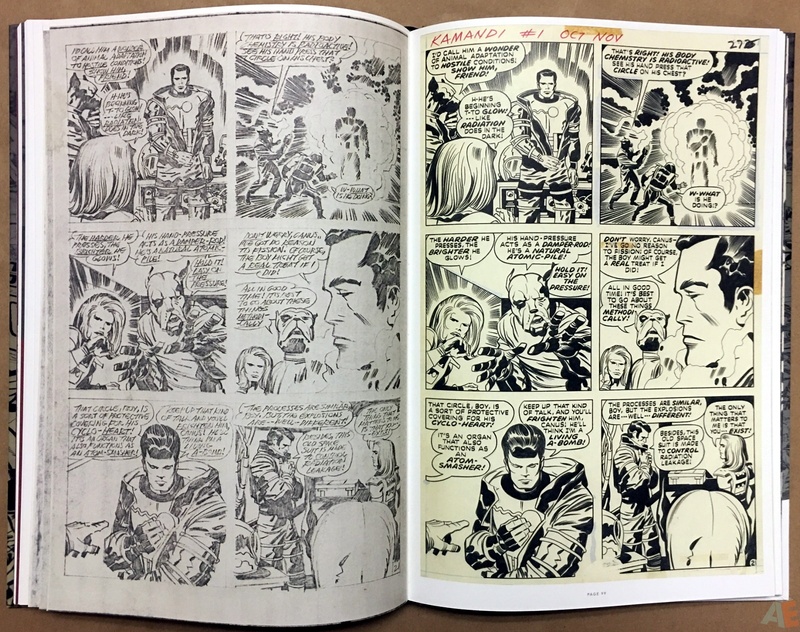 This is a perfect way to see Kirby art in its rawest form, from photocopies made from the original pencils as each page was completed, then next to it, the finished inks. 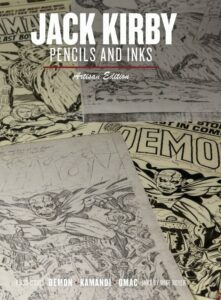 We would almost call this a textbook of comic art except it’s too much fun! Three first issues from Kirby’s Fourth World: The Demon, Kamandi, OMAC. 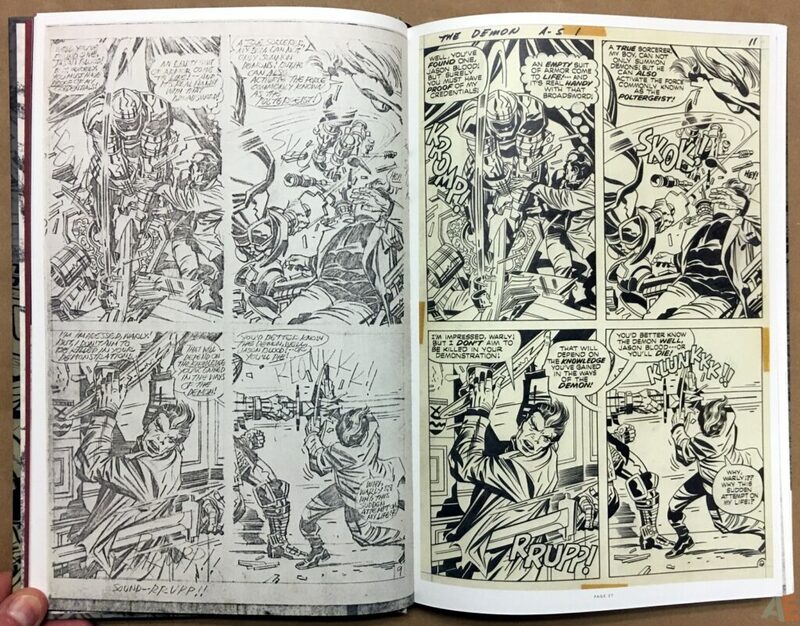 A look, page by page, comparing Jack Kirby’s photostat pencils with Mike Royer’s inks and lettering. 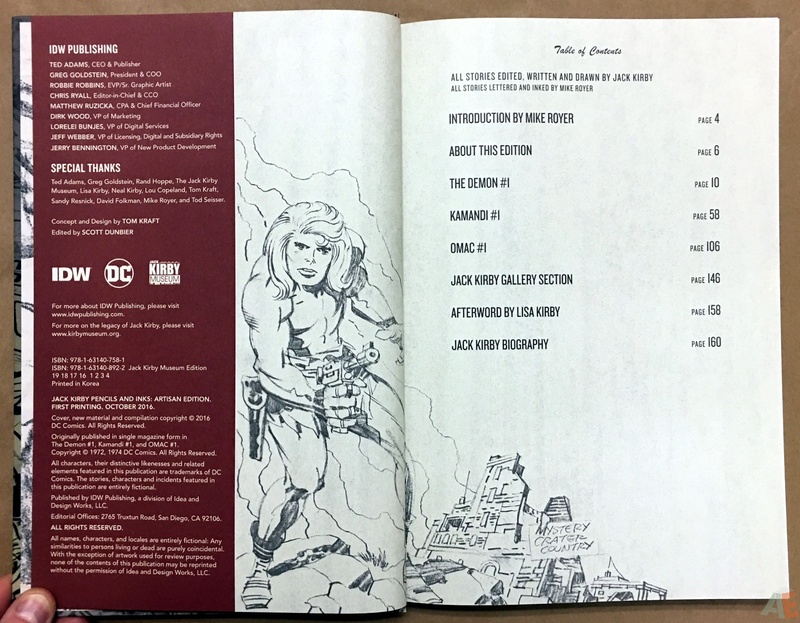 All wrapped in an 8″ x 12″ hardcover bearing the Artisan Edition title. Since it’s coming from IDW’s Scott Dunbier and says Artisan Edition you’d expect the same quality and care seen in Artist’s Editions, and you’d be correct. 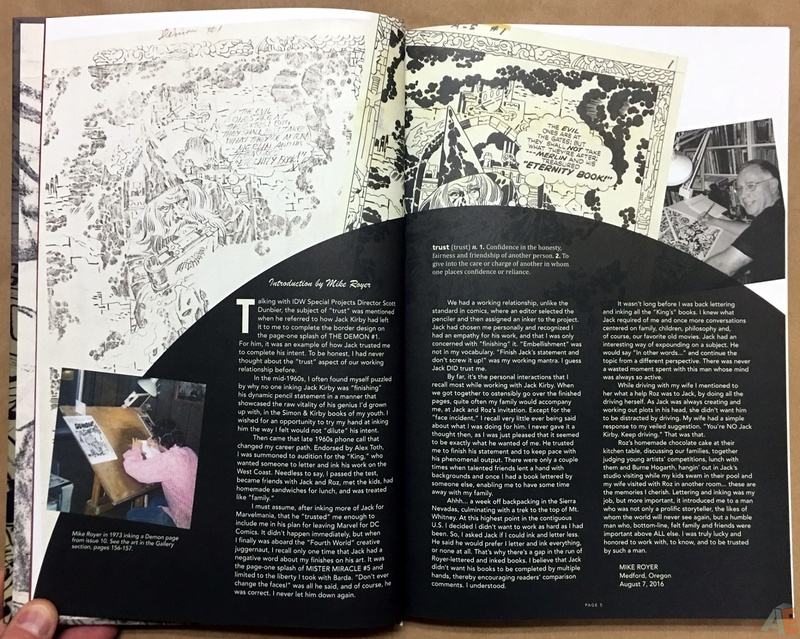 And it’s a completely different product from previous Artisan Editions which seemed to be softcover reduced size versions of Artist’s Editions. It’s a complete, well produced package. An introspective introduction from Royer, and a heartfelt afterward by Lisa Kirby. Before each issue are Kirby’s series introductions, setting the stage. 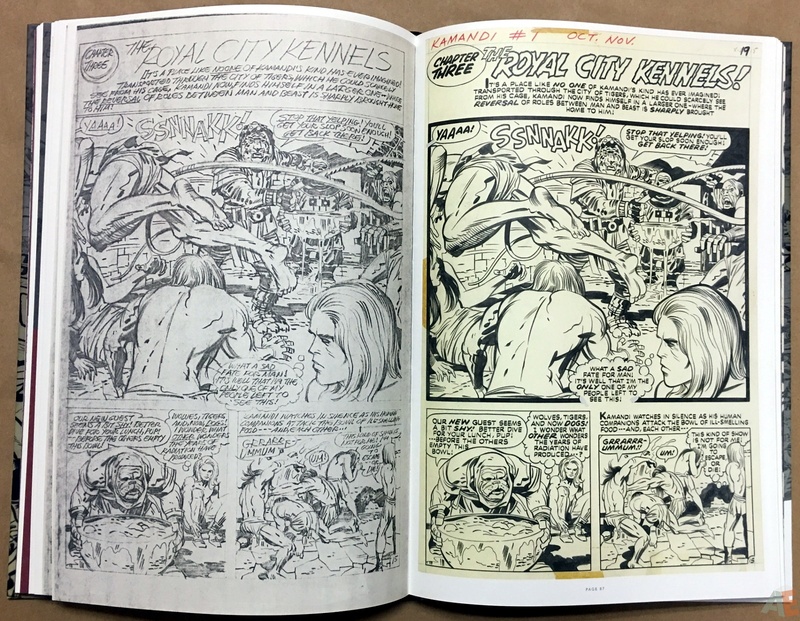 Then pencils on the left and inks on the right, page after page. Closing it all out is a one page Kirby biography. 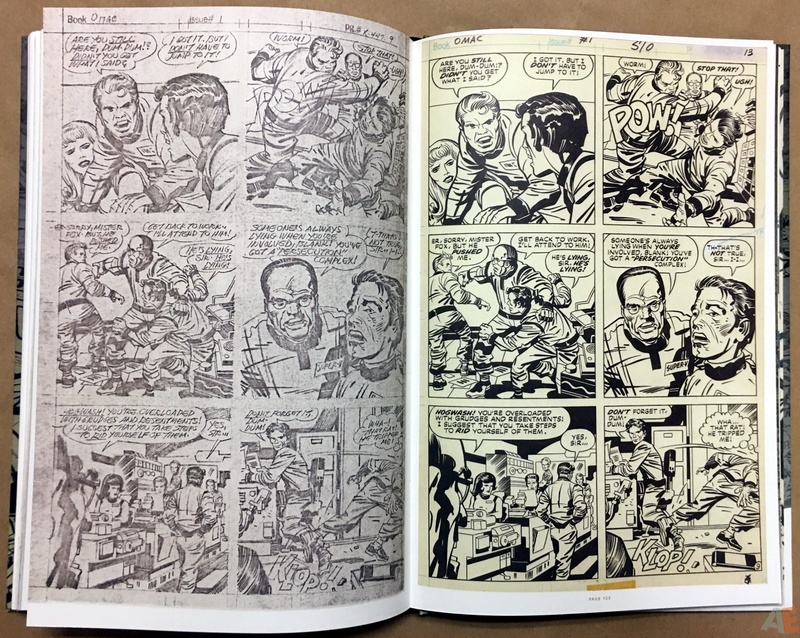 While we’re all here because of Kirby, half the book is Royer’s work. It’s not Jack Kirby pencils and inks now is it? I would have liked a bio for him as well. 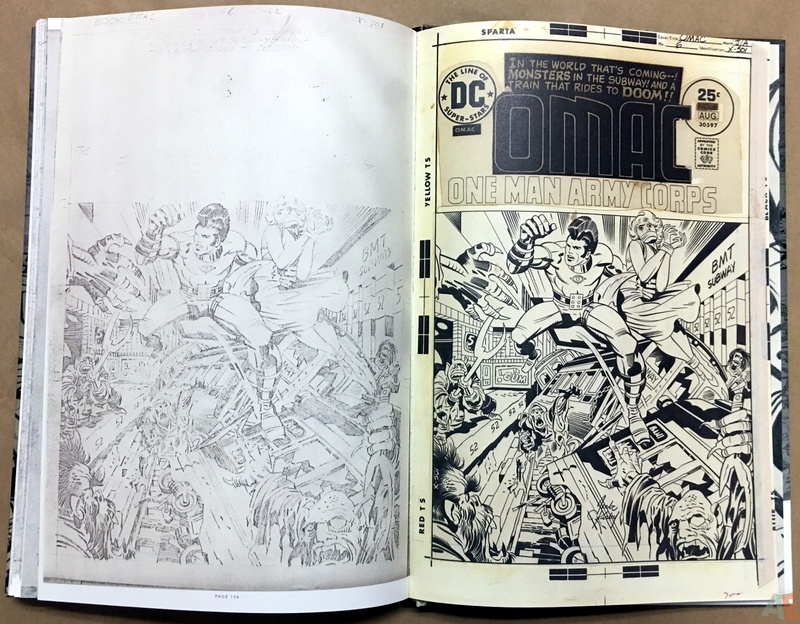 Moving through the book, comparing the pencils to the inks, shows progression but not process. 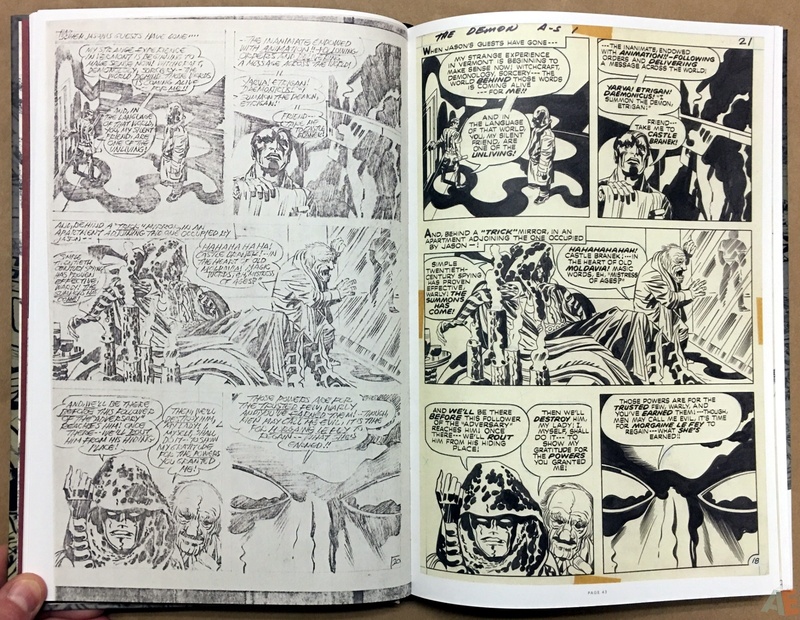 Royer notes in his introduction he didn’t embellish but faithfully inked what Kirby had on the page, and that is wonderfully accurate as you turn page after page. 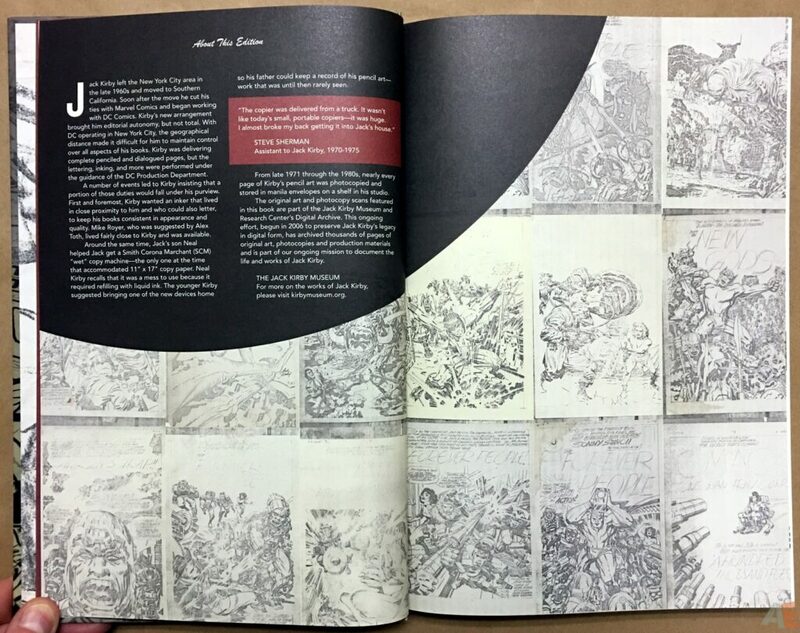 At it’s 8″ x 12″ size the book is manageable to read and large enough for you to see and admire the art’s details. The scans are very good, with no blurriness or pixelation. 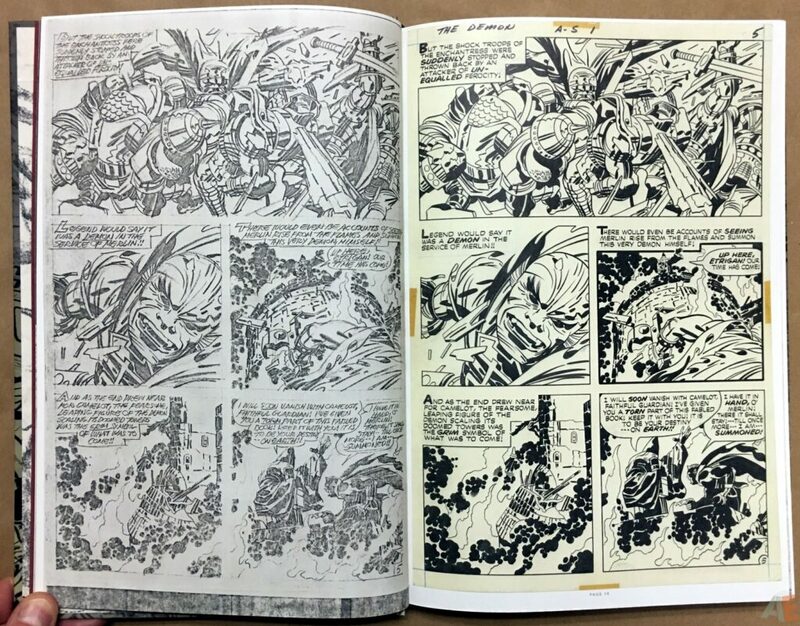 Kirby’s photostats are grainy, but that’s the limitation of the technology he had available at the time. The completed inked pages are flawless in their presentation. I was concerned about viewing and comparing the art at this size but it just works. 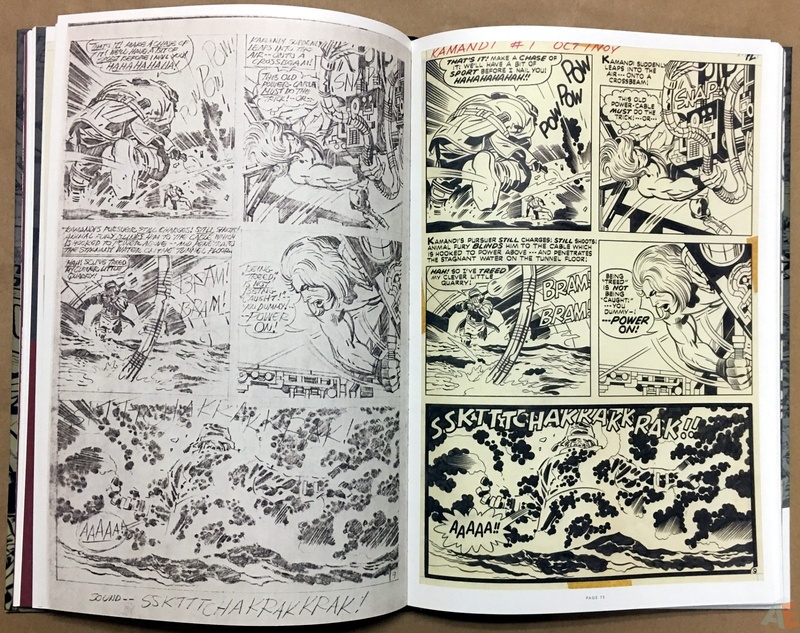 Tom Kraft, of the Jack Kirby Museum and What If Kirby website, is credited with concept and design. 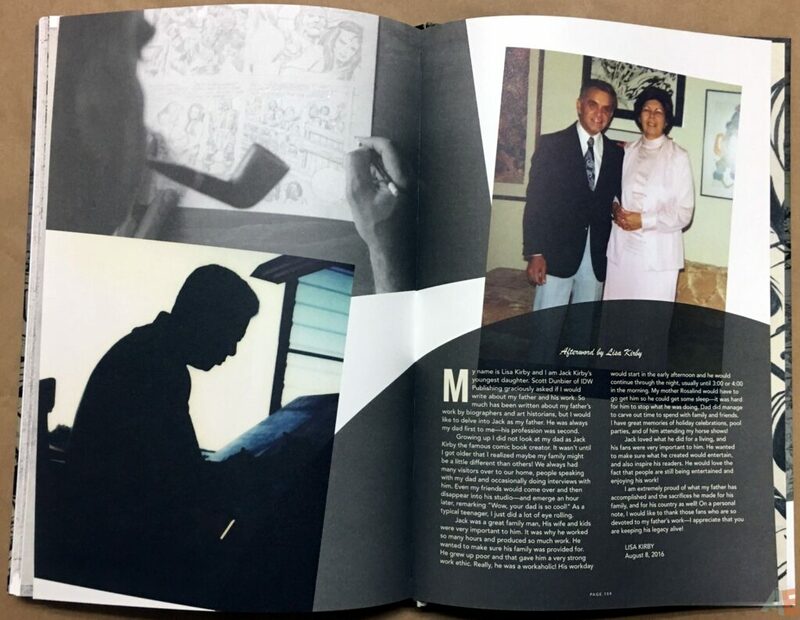 A clear and clean departure from other AE format book designs, Kraft employs photo montages of the penciled and inked pages with printed covers and a unifying burgundy from the cover title divider to the biography. It works well throughout, but for me the wraparound cover lacks punch. 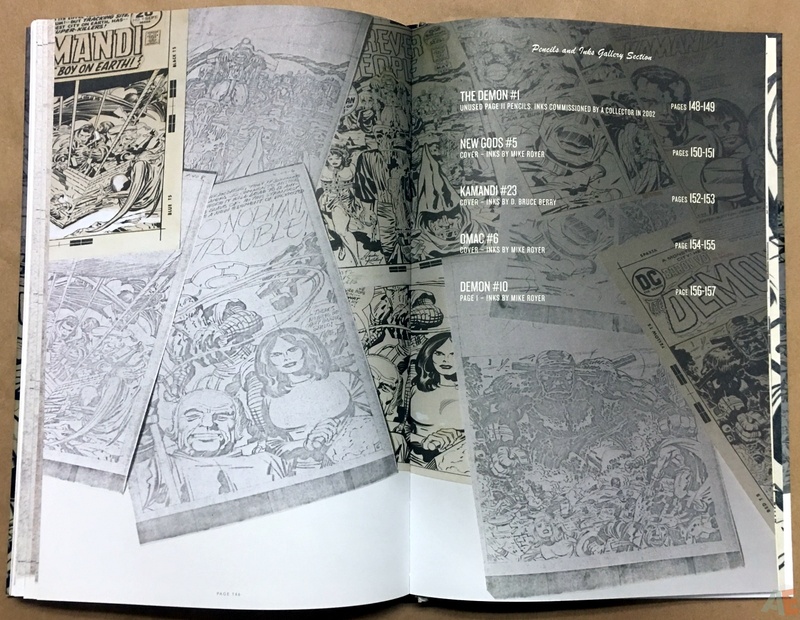 Loved the endpapers working the theme. Excellent production overall. Sewn binding of thick matte paper stock. After carefully breaking in the book and smoothing pages most pages wouldn’t lay open; perhaps a combination of too tight binding and the size. The page numbers are a welcome sight, appearing under the inked pages. 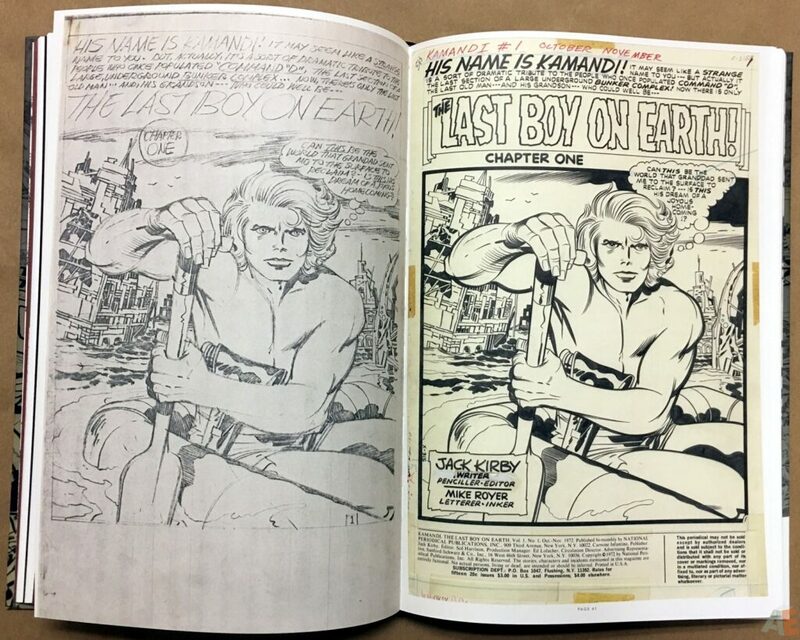 Kamandi issue one has already appeared in Jack Kirby Kamandi The Last Boy On Earth Artist’s Edition Vol 1, but OMAC and The Demon are new to AE readers. 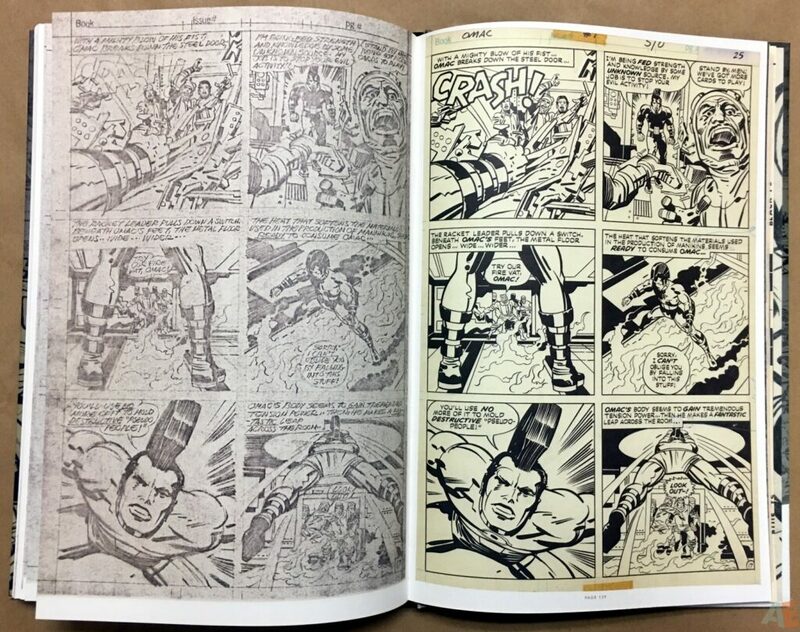 Let’s hope more issues are available so we can get Artist’s Editions of this Fourth World material. While I fully enjoyed this volume I still wish it was original size.